UMass Lowell’s annual homecoming festival runs from October 12-14 this year. The homecoming festival comprises of a wide variety of different events for all kinds of students, alumni and families to enjoy. The highlights of homecoming, to many students, are the countless sporting events. The centerpiece of the homecoming experience is almost certain to be the ice hockey home opener against the RIT Tigers, on October 12 starting at 7:15 p.m. at the Tsongas Center, as well as a second game against RIT the next night starting at 7:00 p.m. However, there are other events for those who aren’t in love with hockey. The Women’s volleyball team will be playing the Albany Great Danes on October 12th at 7 p.m., as well as the Siena Saints on October 14th at 1 p.m. The men’s soccer team will be playing the Binghamton Bearcats on October 13th at 4 p.m., and the softball team will be playing the Southern New Hampshire Penman on October 14th at noon, and the field hockey team will be playing the Vermont Catamounts on October 14th at 2 p.m.
All these events are free for students and are bound to be a great time! Additionally, for those who aren’t involved in sports but want to stay active, there is a 5k run and walk on October 13 from 11 am to 1 pm. For those students who don’t enjoy sports as much, there’s still quite a few fun activities to participate in. 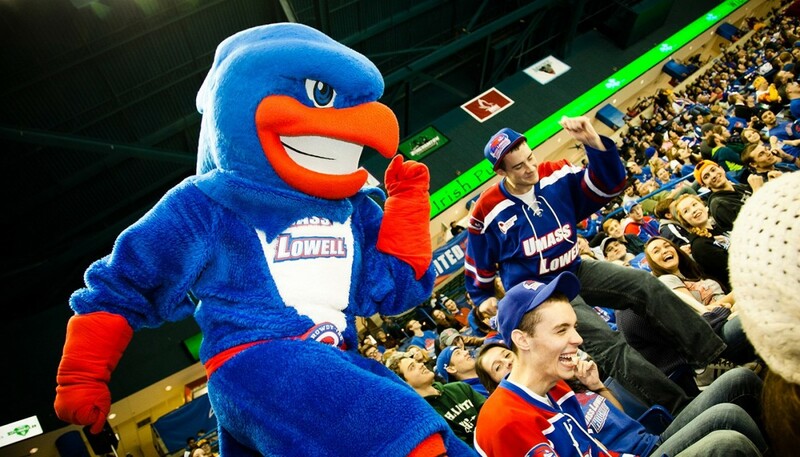 Before the hockey home opener on October 12, there will be the River Hawk Rally at the East Campus Recreation center starting at 4 pm, with free food, lawn games, and more fun activities. Directly after the hockey game, around 9:30 pm, there will be a late-night free skate for students. Any interested students should go to the Talon Club after the conclusion of the game to participate. October 13 at 3pm there will be a pre-hockey game festival outside the Tsongas Center, with tons of fun fair activities including food, live entertainment, pony rides, crafts, face painting, and more fun fair activities. In the Durgin Hall Concert Hall at 7:30, folk singer-songwriter Arlo Guthrie will be having a concert, with ticket prices ranging from $39-$99. On October 14 from 11:30 am to 3:30 pm, there will be apple and pumpkin picking at Parlee Farms, with free bus transportation for the first 100 attendees registered. For the alumni returning to campus for homecoming, there are countless events dedicated to them. On October 13, there will be the intermural champions cup at 9:30 am, the lacrosse alumni game and gathering at 11 am, the softball alumni game and gathering at noon, the ice hockey alumni game and family skate at 3 pm, the soccer alumni gathering at 3 pm, the general alumni reunion tent at 3 pm, and the Riley reunion at 9:30 pm. On October 14, the field hockey alumni game will occur at 11:30 am, and the field hockey alumni gathering will occur shortly after at 1 pm. Although the majority of the homecoming events are centered around students and alumni, there’s still quite a bit for visiting families to do during the festivities. There will be a kids soccer clinic for kids aged 7-12 at 1:30 pm on October 13, and there will be a parents and family reception on October 13 starting at 6 pm. Additionally, all of the sporting events, as well as the October 13 pre-game festival, the Arlo Guthrie concert, and the apple and pumpkin picking are all open for families to attend.